Ocean 932 condominium community in Jacksonville Beach, Florida. 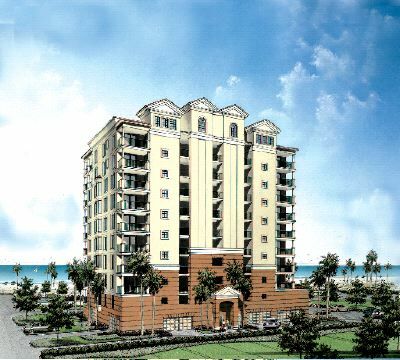 Ocean 932 is a new condominium community in Jacksonville Beach. Enjoy elegant costal living with stunning ocean views, unique architecture and a wide variety of opulent interior finishes available. The building will feature 10 stories of Mediterranean architecture with 25 spacious residences. Amenities include a controlled access gated entry, lobby, elevators, swimming pool, spa, and the enclosed parking garage on the ground level. The units located on floors two through eight will offer 2,138 square feet to 2,511 square feet of space with three bedrooms and three baths. There will be four penthouses located on the 9th and 10th floors, each with more than 3,330 square feet of living space, three bedrooms, a den or study and four bathrooms. All of the residences will have a generous balcony with ocean views to the east and sunset views to the west. Balconies will range in size from 202 square feet to 614 square feet, giving residents a comfortable and picturesque setting for unwinding after a long day. Oceanside 932 residences will feature open floorplans with an abundance of natural light from large windows and patios. The homes will offer a wide array of lavish interior appointments including 18-foot by 18-foot designer ceramic tile flooring, plenty of pantry and storage space, walk-in closets, crown molding throughout the living areas, custom maple cabinets, solid granite countertops, wet bars for entertaining and stainless steel kitchen appliances. Homes at Oceanside 932 are anticipated to be ready for move-in by August 2006. Call me today at (904) 307-8998 for more info.